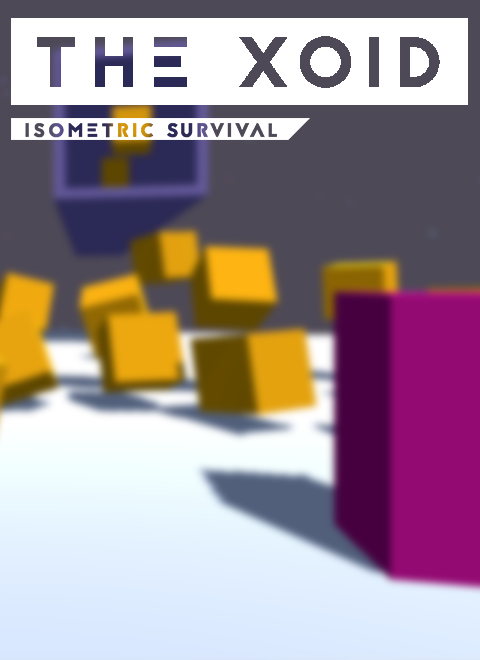 The Xoid is an Isometric survival game, optimized for mobile devices, with simple controls and simple rules, children and adults alike will bound to be addicted after there first attempt at The Edge. The aim of the game is to survive for as long as you can, while utilizing a series of killsteaks and lasers to destroy your foes. Once you loose your health, don't fret, the game must go on. Unlike traditional gaming where you must get a team mate to revive you or just simply die. The Xoid allows you to restore your capabilities to yourself. How? You ask, well when you lose your health, you turn into a character that appears to be an enemy, you must then decide what orange cuboid - boid - you are by firing your laser, using your kill streaks and the bars at the side of the map. Use these to aid in your attempt to collect a health pack without falling off the edge, The pack will restore you back to your original state, allowing you to continue your struggle. Once these are in game, im excited to start development on my next project. I already have some prototypes working which means my concept is actually dooable in a timely manner. The previous trailer had the old game name edge, this trailer is also shorter. Preview of it can be found on the app store page! Hope all iOS device holders enjoy the game. It is priced at $0.79 so not much at all. Thanks again for the support, let me know if you like it! Below are some links to see how development has went for the game, and how much it has progressed. Should give an insight on whats to come. Photoshop mockup - This was to start developing the UI and see where the game was heading. I’m the worst fan of my own work a lot of the time, I have this image in my head on what I want graphics, movement, sound to be like. I feel like in this project I nearly nailed the style I was going for. This was the first menu, I then had a better idea and in 10 minutes had an animation attached to the camera following a scene with a blur. Did this effect in the jam and won me ‘style’ points if you will. Gameplay Trailer- Wanted something to show the game at an early stage so could start getting some interest! I love the result and am happy to call it my work. Check out the post for a summary on the lastest developments for v2.0 Whats left to do and what is coming up! FINALLY DOWNLOAD A DEMO OF V2.0!